Mike Woods made it two for two for EF Education First Pro Cycling Team at the Jayco Herald Sun Tour. The Canadian out-climbed and then out-sprinted Richie Porte (Trek-Segafredo) to take the stage two win. Woods will start stage three in the race leader’s jersey worn by his teammate Dan McLay during Thursday’s stage. “We have been riding so well as a team here in Australia,” said Woods. “It had been frustrating that I hadn’t been able to finish it off. Dan felt the same way. Everyone was doing his part, executing on his part, but the results weren’t reflecting that. This race. Today. It was a continuation of the great teamwork. Having Dan win yesterday was a bit of a release. A six-rider breakaway escaped early into the 127 kilometer stage between Wonthaggi and Churchill. The leaders managed only a three-minute maximum advantage ahead of the bunch paced by Docker and Scully. Just inside the final 40 kilometers, first a crash and then an uptick in speed due to winds split the peloton. The stage came to a climax up Jeeralang, the category one climb that topped out 12-kilometers from the finish and included a 1.1-kilometer dirt-road section near the summit. Team Sky’s Pavel Sivakov and Bridgestone’s Chris Harper were the first to attack. Kenny Elissonde (Sky) bridged the gap, giving Sky two up front. Behind the leaders, an elite chase group formed that included Woods, Porte, Dylan van Baarle (Sky) and Mitchelton-SCOTT’s trio of Lucas Hamilton, Damien Howson and Nick Schultz. As the chase group made grounds on the leaders, Woods attacked and only Porte could follow. The pair reached the gravel sector alone with Woods leading Porte across the summit. Although Woods slightly distanced Porte uphill, the pair agreed to work together on the descent to keep their chasers at bay. They reached the line together with Woods besting Porte in the sprint. Their efforts netted them a 17-second advantage on Elissonde and 19 seconds on both van Baarle and Hamilton. 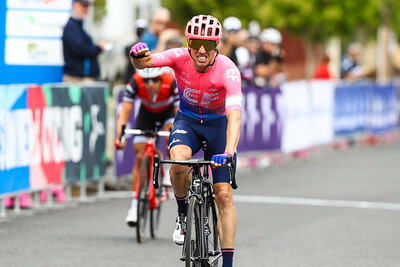 Having picked up a 10-second bonus for the stage win, compared to Porte’s six seconds for second place, Woods holds yellow by four seconds over Porte heading into stage three. Woods has grown increasingly comfortable with the leaning that leads to winning. The Jayco Herald Sun Tour continues on Friday with a 161-kilometer stage between Sale and Warragul. While hilly, it’s not a big day for the general classification. Copyright © 2019 Slipstream Sports Inc. The early season march of stage races continues, with the challenging Volta A Catalunya rolling out Monday in Spain. There should be a few fleet finishes, but the jaunt into the Catalan Pyrénées ensures that one of this season’s GC contenders will win the week-long race. To that end, the Cannondale Pro Cycling Team brings a squad dedicated to the overall standings while allowing for crucial experience. 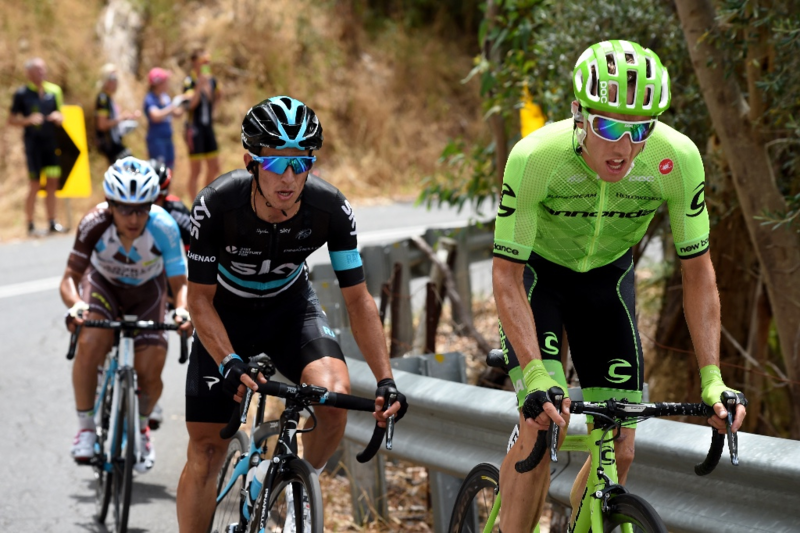 Rigoberto Uran will captain the team, with support from the likes of Joe Dombrowski, André Cardoso and Michael Woods. 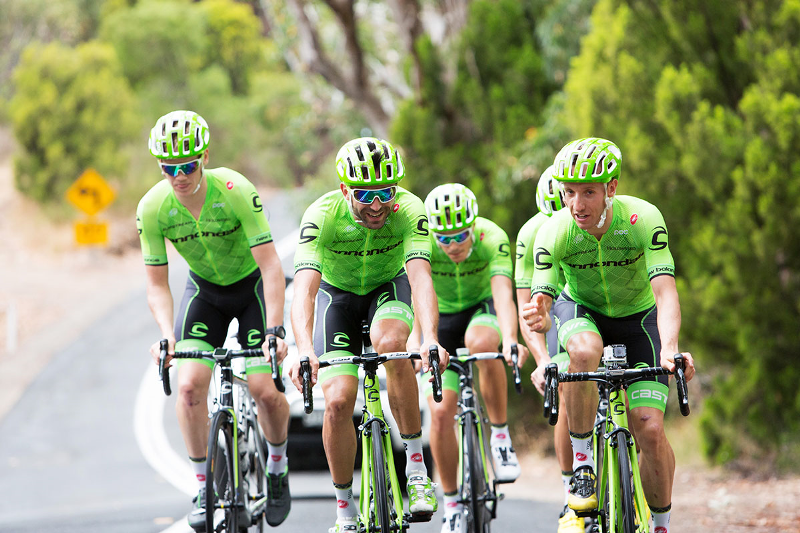 Cannondale Pro Cycling Team has assembled in Adelaide with a strong all-around squad capable of performing over the varied terrain served up by the Santos Tour Down Under. The Argyle Armada plans to target the sprint stages alongside a top ten on the general classification in the WorldTour season opener. Wouter Wippert will make his debut in argyle at the Tour Down Under as part of Cannondale Pro Cycling Team’s seven-man squad. A stage winner in Adelaide last year, Wippert hopes to snag a second sprint victory in the opening race on the WorldTour calendar. While Wippert offers the American-registered squad options in the sprints, Simon Clarke has his sights set on the general classification. The Australian, who will line up for his tenth Tour Down Under start, will also serve as road captain in the WorldTour season opener. Alberto Bettiol, newly crowned New Zealand time trial champion Paddy Bevin, Moreno Moser, Michael Woods and Ruben Zepuntke join Wippert and Clarke in Adelaide.